Like us on Facebook at "Bullet Boats" for new products, promotions, and discount codes! ANDY MORGAN WINS FLW ANGLER OF THE YEAR TITLE SECOND YEAR IN A ROW IN A BULLET 21XRS!!! This is the rubber boot that goes over the toggle switch at your dash and bow panels. This is the replacement rubber boot cover for the circuit breakers on the dash panels of the "S" series boats. 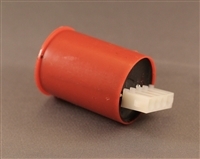 This is the replacement 12 volt "RED" 4 prong charging plug for older model boats that charge from the front bow panel. 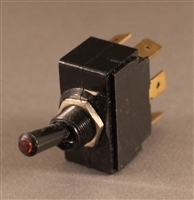 This is the replacement plug that connects to the power wire on your trolling motor. 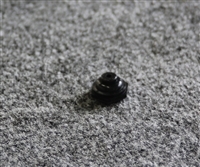 This plugs into the 4 prong receptacle on your Bullet bow panel. This is the replacement plug for boats running a 2 wire system with a jumper at the trolling batteries. 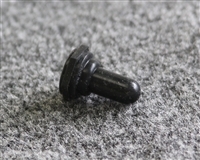 This plug goes on the power wire of your trolling motor and plugs into the female receptacle of your Bullet bow panel. This is the replacement On/Off switch located on the bow and dash panel of your Bullet boat. This replaces the main power, bilge, livewell lights and accessory switches. 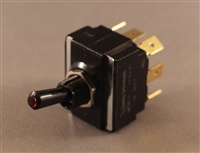 This is the replacement 12 volt female receptacle for the Bullet dash panel. This tip lighted replacement switch has 3 positions to operate the complete aeration and recirculation of the livewell in your Bullet Boat. This switch fits most Bullet models through 1996. If you are unsure if this switch is the correct switch for your boat, please call us at 865-577-7055. This is the chrome light socket that comes standard on the front bow and the rear stern of your Bullet Boat, intended for holding your green/red navigation light and your white anchor light. This is the LED replacement light for the inside of the storage compartments. If your boat has the older square style bulb lights, this is the replacement for those as well. This oval shaped replacement light is found on the side of all Bullet Consoles and is a must have when you find yourself on the water when the sun goes down. This is the replacement trim switch located on the bow panel of your Bullet boat. This LED Livewell light is designed to be submerged an flush mounted on the inside wall of your Bullet livewell, Purchase 2 for maximum efficiency in your divided livewell. Hardwire to your auxiliary switch panel at the helm and use silicone when installing to prevent leaks. This removable light is mounted at the bow of your boat to provide the required Red and Green navigation lights for operating your boat after dark. This is the replacement 3 way switch located on the bow and dash panel of your Bullet boat. 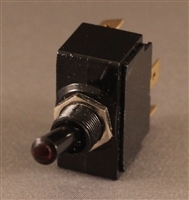 This replaces the navigation lights, aerator/recirculate and livewell timer switches. This stern mounted light pole is long enough to be seen over the top of any size outboard motor. This high quality waterproof livewell timer is a must have to provide quality fish care in your Bullet livewell. Works with your pre-exsisting timer switch to provide aeration increments every 2, 4, or 6 minutes. © Copyright 20165 Bullet Boats Inc. All Rights Reserved.